Kentay is a highly sought after strategy and operations advisor in the health care services industry. He has executive leadership experience at major health care service organizations including UnitedHealth Group and Magellan Health Services. His breadth of experience includes, Business Development, Post-Merger integrations, Government Affairs and Network Management. Known as both an innovative strategist and an operational realist, he has designed and executed profitable growth and operational efficiency initiatives that have yielded performance improvement in revenue and expense trends. 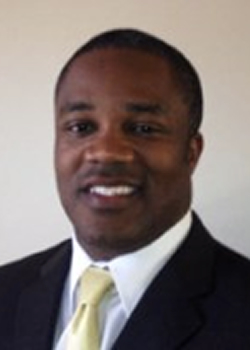 Kentay uniquely possesses a deep understanding of Government Programs with leadership experience across the spectrum of managed health care from physical, behavioral to pharmaceutical operations. He draws on this experience to develop innovative and integrated solutions to current challenges while assisting clients in strengthening core capabilities to meet the challenges of tomorrow. This uncommon diversity of insider experience engenders him to instantly connect with clients earning their respect and trust. Demonstrating a bias toward execution, Kentay relies on a keen understanding of his clients’ challenges and marketplace realities to deliver practical, flexible, result oriented plans to meet strategic priorities. Known widely for his exceptional business acumen and for his ability to easily build rapport with colleagues and clients, Kentay combines both of these core strengths to effectively manage organizational transformation and strengthen external relationships. He focuses on the linkage between people and operations while understanding the importance of effective engagement of all critical stakeholders from health care providers, payers to vital community organizations in this dynamic change environment. Kentay holds a bachelor’s degree from the University of Michigan and a law degree from Georgetown University.